Many people suffer from symptoms of depression. But what is depression, exactly? Depression is a very common, serious medical condition that can put negative effects on people’s feelings, their way of thinking and acting. Unfortunately, there is no cure for depression, but it is treatable. Depression can cause feelings of sadness, loss of interest, and reduced enjoyment in things that were once enjoyed. It can also lead to various physical and emotion problems, which decrease a person’s ability to function both inside and outside their home. There are many symptoms of depression, including depressive mood, loss of interest, changes in appetite, sleeping problems, loss of energy, restless activity, slowed movement and speech, feeling of guilt and worthlessness, and suicide thoughts. There are many way to diagnose depression, but the duration of symptoms is one of the first things to consider. In order to diagnosing depression, symptoms must last at least two weeks. While diagnosing a patient with depression, it is also important to rule out other medical causes that are commonly misinterpreted as this illness. Nearly 6.7% of all adults develop depression every year. Generally, 1 out of 6 people suffers from depression at some point in their life. Depression has no age limit and can strike at any time, but it typically appears during the late teens to mid-20s. Women have a greater chance of experiencing depression than men. The number of women that experience at least one major depressive episode in their lifetime reaches one-third. When it comes to defining depression, there are many conflicts and different interpretations of this illness. Therefore, it is not at all surprising if you are feeling confused when it comes to defining depression. The difference of opinion is not based on the effects of depression. It is quite the opposite – everyone agrees on the impact this condition has on people. The main conflict lies behind the way these impacts are perceived. This is why it is crucial to determine how a person with depression perceives the disease. Some see is as inevitable and accept it, while others consider it a grand flaw in their lives. Whatever the case is, there are differences when perceiving depression. This is especially the case in patients with chronic depression that may change their view many times throughout their lifetime. Is Depression a disease, condition or disability? There are people who cannot accept this disease and live with it. Others start seeing it as a permanent thing and embrace it without trying to get rid of it. Looking at depression from various angles gives a variety of answers to the question, what is depression? 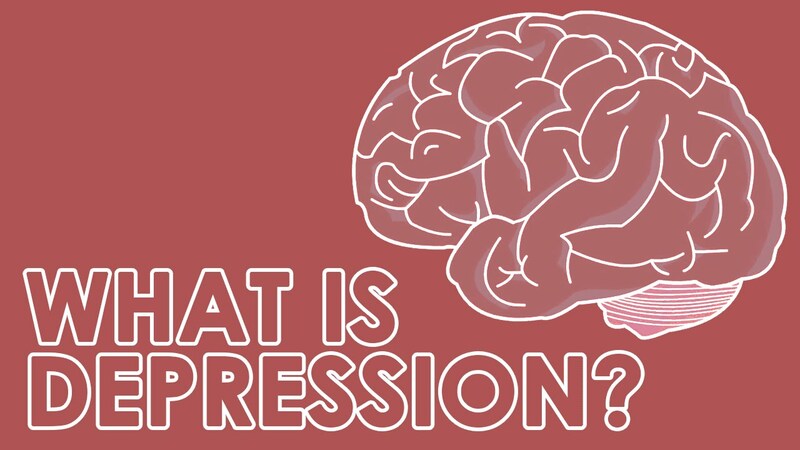 A neural and anatomical definition treats depression as a disease. If you see this as a disease too, you may take comfort in accepting it as it is and trying to live with it. Sometimes medications for depression do not work, so others do not fully perceive it as an illness. Instead, people start distinguishing this disease from other chronic illnesses such as diabetes and start seeing it as a condition instead. Being an illness that cuts people of their abilities to function effectively and properly, this disease is commonly perceived as a disability. People who suffer from chronic depression often receive accommodation in handling their work. However, the new working schedule does not indicate that the person is disabled. This is solely done for the purpose of allowing them to face the disease more easily. Depression is sometimes considered to be a mood or a state of mind on the downside of normal. This happens because of the grand amount of effort that has to be put in the treatment, despite defining depression as something perfectly normal and common. This is a common opinion, especially because people feel very vulnerable and judgmental of themselves when suffering from depression. Therefore, people might ask themselves, “Am I just making this up?” The question here refers to their state of mind and their confusion regarding whether this is a real health issue or just a result of being weak. There are phases in depression when people stop seeing this as a disease and start seeing it as their personality. It is not strange for those with depression to start thinking that their actions are the result of their personality. This is mainly because of feelings of guilt and worthlessness. It most commonly occur in cases where patients do something wrong or hurt someone they love because of the mood they are in. Trauma can often be associated with depression, but in most cases, this is just one of many things that can contribute to the development of depression. Whatever the case is, every person realizes how powerful trauma is at a certain point in their lives. This is the view of Thomas Moore and Tom Wooton. They both see this illness as something that should be embraced thoroughly. Despite the terrible symptoms of depression, they consider that it can actually enrich a person’s life. How? By accepting a different side of life, one learns that awareness and comfort zones can be expanded. In chronic depression cases, patients often change their perspective of depression. This is the main reason why depression is so hard to define. Aside from the fact that there is no cure for it, solely treatment, people have to learn to live with this disease. Learning to cope with a chronic condition is not easy. However, there are numerous treatments that can help in the healing process and lead to acceptance. If one finds the proper treatment, they can live a normal, worry-free life and grasp the idea of depression as another piece of life.